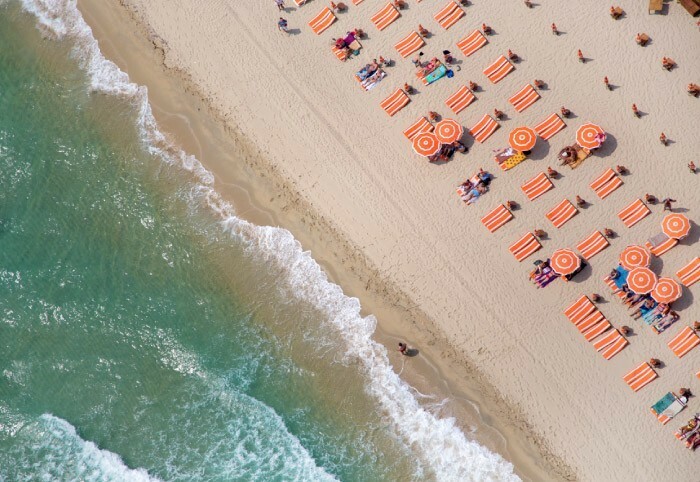 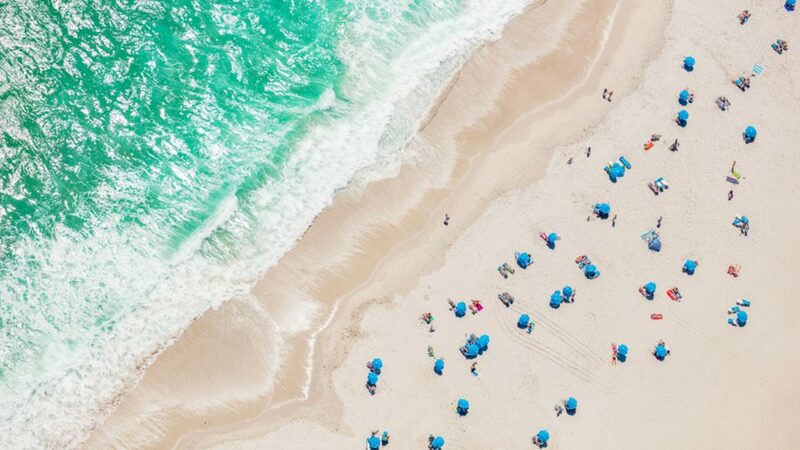 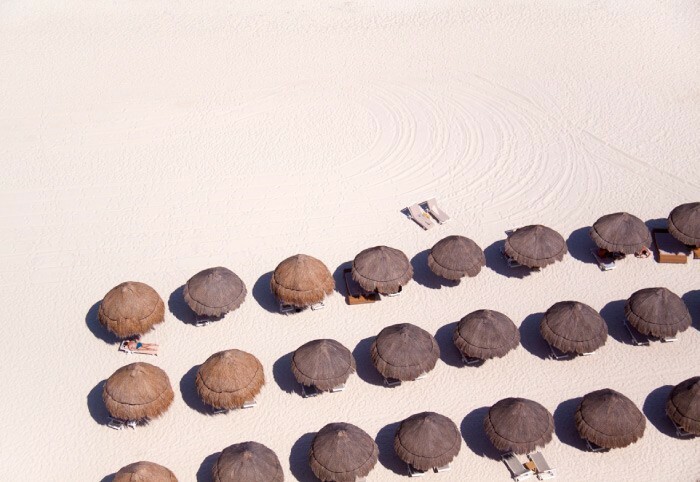 Continuing our love affair with birds eye view photography, Gray Marlin explores the beach as a canvas. 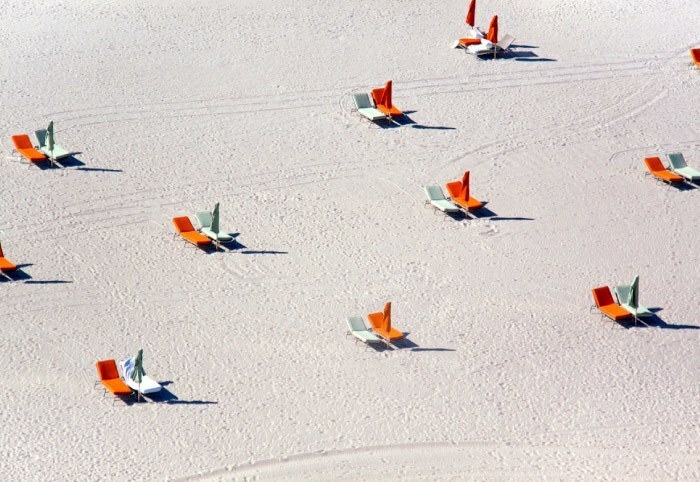 As he puts it “they are visual celebrations of colour, light, shape and summer bliss”. 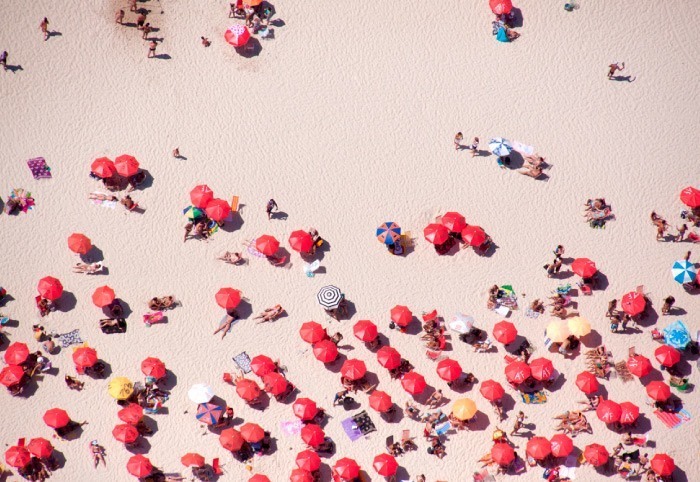 Shooting from a helicopter and capturing mostly just beach background his images become abstract. 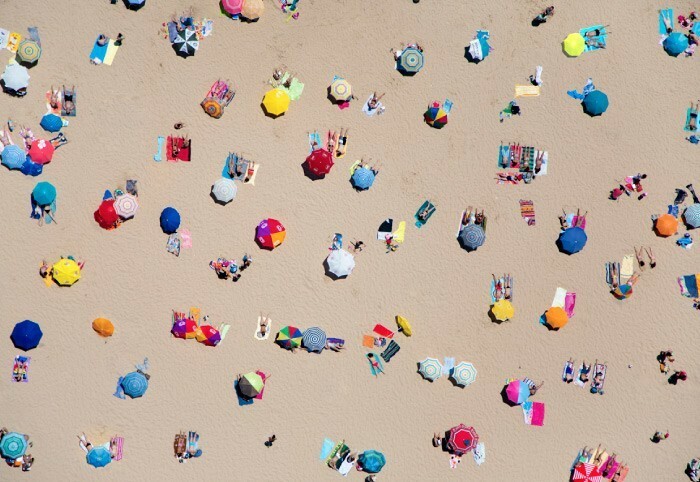 We really enjoy the contrast between the randomness and the organized repetition people and their objects project onto the beach.